Looks awesome, great job. I really need to get around to making one, too. That Kinnikuman is the perfect upper body. Awesome VR. That upper body works great. Oh looking sweet! I like those ankle wraps, they look nice! The heads look awesome, great job. 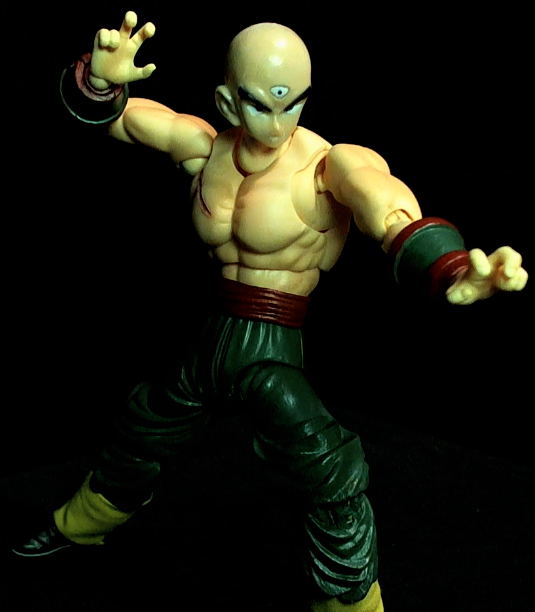 That Kinnikuman body really is perfect for Tien! 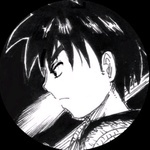 Nice work!! 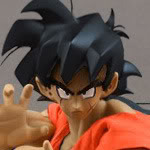 The scar looks quite realistic, I'd imagine on a figure it'd just be darker skin tone like in the show. That's not to say yours is bad, in fact it's better! Awesome sculpt and painting all around and GREAT use of existing heads. 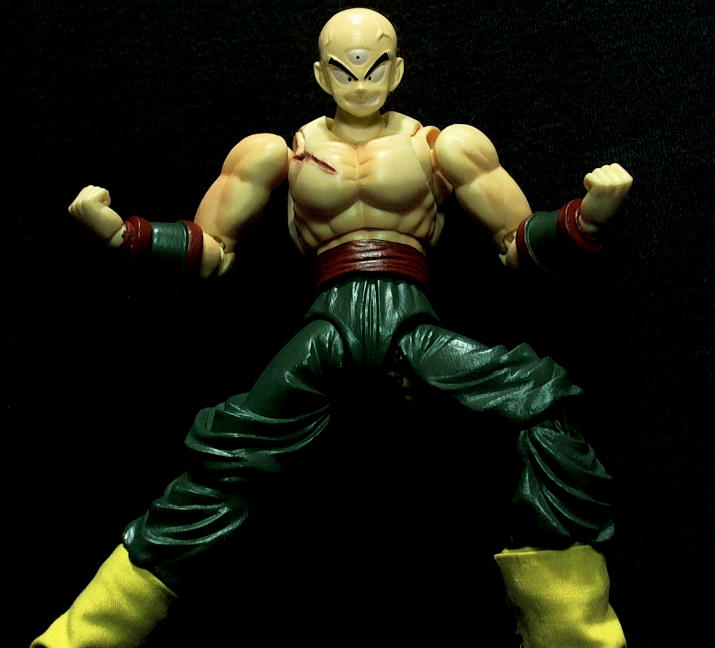 Now I can't imagine a Figuarts Tien without that clenched teeth look! I love it. Great job! Thanks. I did originally have it painted as a darker flesh tone, but I didn't like the way it looked. I thought you might like that one. Wow! I love how you made the scar look so realistic! 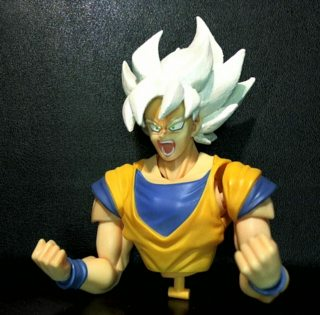 I seen this on figurerealm. Also work dude. I'm Syked to see such a cool figure . 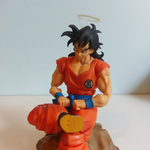 Just in case anyone's curious, this is what it looks like when you paint Goku's hair pearlescent white. It actually looks worse person. Agreed, but you can't deny the white-blonde is such a good look. 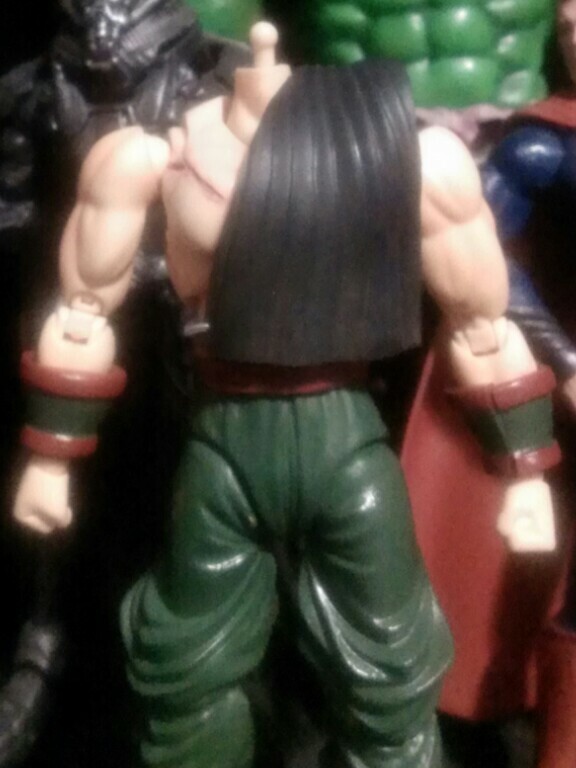 I'm making a little removable sash for Tien... It's a thing. I'm still sizing it and altering it... and then I have to paint it. Looks nice, are you going to make it removable? Using Sculpy for this? ]Looks nice, are you going to make it removable? Using Sculpy for this? Yes. It's removable. I'm actually cutting up and putting together a rubber cape from another figure to make the sash. WOW! 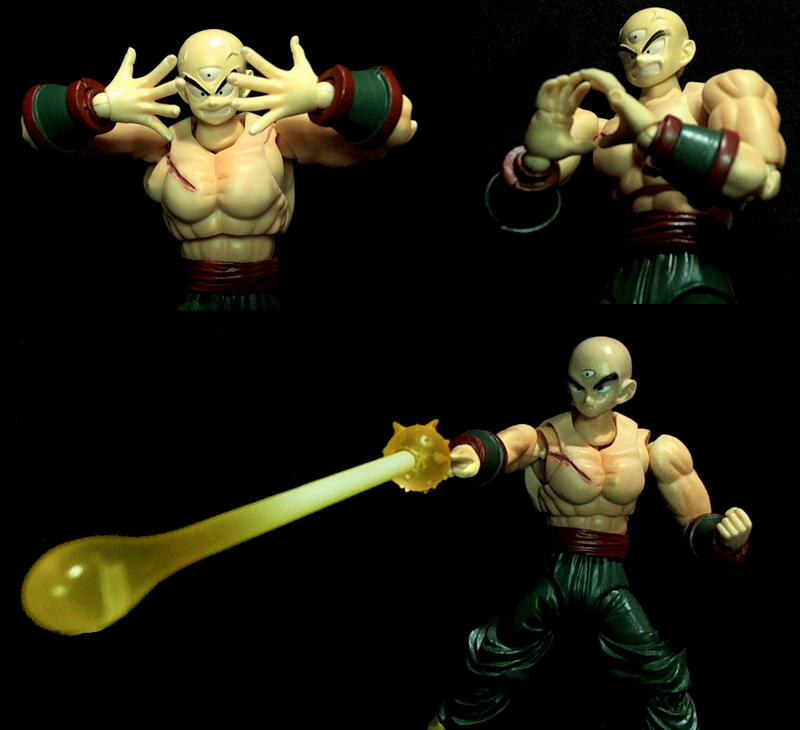 That Tien looks great VR!!!! !